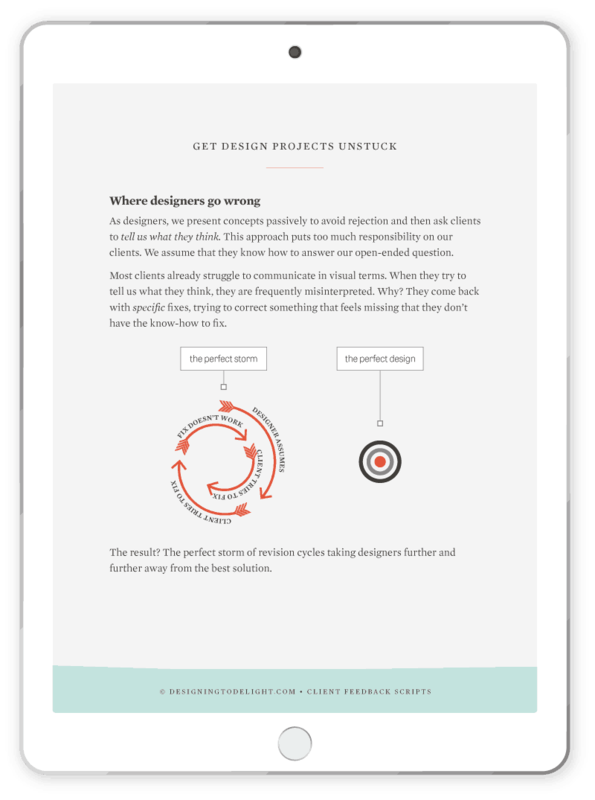 How to get design projects unstuck! 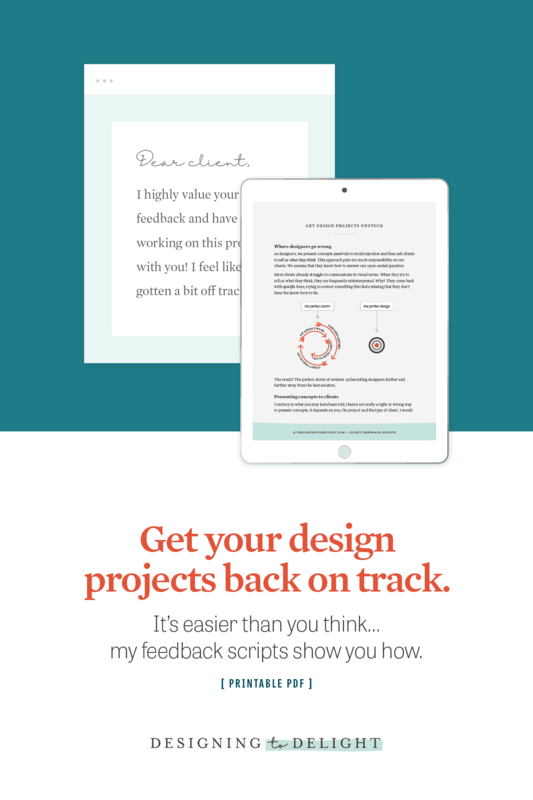 It’s easier than you think… my feedback scripts show you how. Know just what to say (and how to say it) to keep your clients focused and on task. 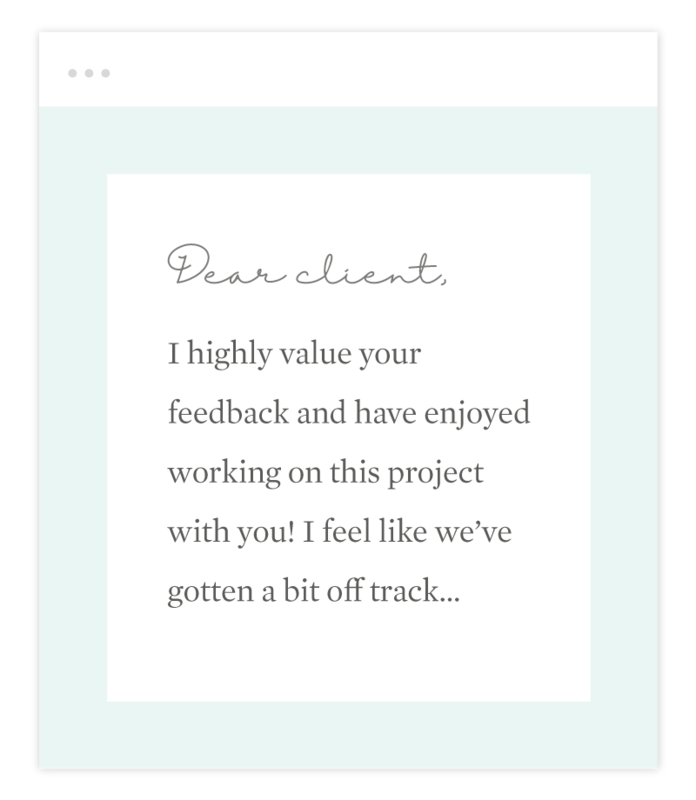 Have the tools and tactics you need to get feedback and collaborate with your clients. Stop the cycle of frustration and overwhelm keeping projects in limbo. Stop struggling. Take control of your design projects today! You’ll also get weekly blog posts delivered directly to your email + occasional offers. Don’t like it? No problem. You can unsub in a click.